The following images were created by Nacho Diaz. I thought they were quite clever with little hidden interpretive messages within them. This video not only because not only is it super funny, but it also very true…at least for me it is. This fantastically funny video What kind of Asian are you? looks at the ignorance of assuming someone is foreign based on appearance. I never know the politically correct term when asking someone where they are from from? ?…Like do you say what’s your heritage? Where are your parents from? What’s your ethnicity? And I completely love her reaction to the white American guy’s question by asking him where he was from from. Of course he goes straight to saying he’s from America, and she responds with oh so you are Native American? Think about that for a second we are Americans are also foreigners unless we are the truly Native American. 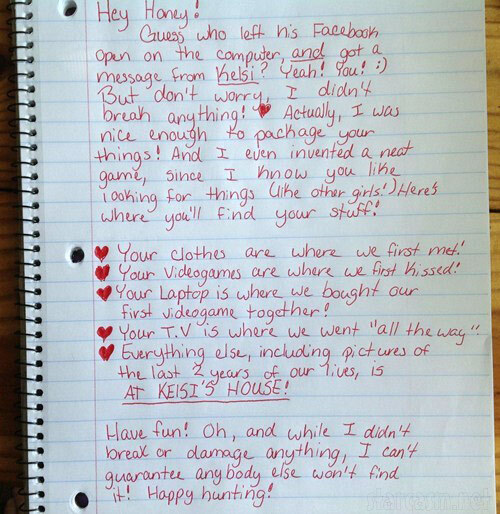 This classic handwritten breakup letter is packed full of sarcastic undertone! Ha, love it. She sounds so loving and excited, and even included hearts. I can only imagine the sinking feeling he had as he read it and discovered that he had been discovered.